God knows the times and the course of our lives to establish His will and His purpose. In order to be prepared for the next move of God, we must know why we are here. If we don’t know why we are here, then it will be hard to accept who we are. 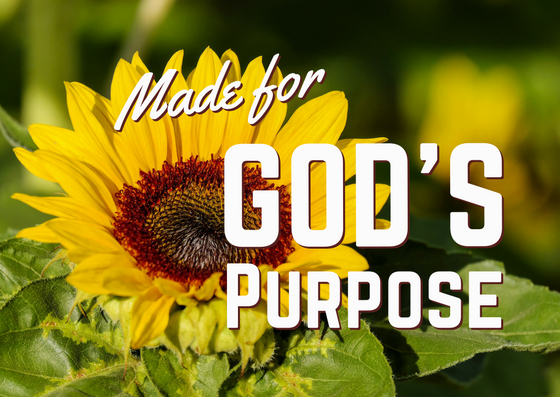 We are made for God’s purpose. The greatest tragedy in life is not death, but being alive and not knowing why we are here. God made us. We are sheep of His pasture. We are fearfully and wonderfully made. We are an awesome wonder, a masterpiece, and made by the Creator. We know deep in our heart that there is more to us. We have a desire to fulfill the purpose and to be successful. Subtitle: God knows the times. God knows the times of your life. God has determined the times before appointed. He knows the times of your life. a) God knows the time of your birth. God determined the time in which our natural life would begin. The Lord has a desire for the person inside the earth suit to be healed and restored. b) God knows the course of your life. God knows the will and the purpose of your life before you had a body. He determined your purpose before you had a body. You have a predetermined course, or will, for your life. Your course takes you to God’s desired end. Now you have to make the choice of which course you will follow. c) God knows the end of your life. God knows the appointed time of your departure and He knows the course in between. You can change the end time based on your choices. When we understand that there is a will and course for our lives, what we have to go through doesn’t move us. It doesn’t cause us to lose our focus. God determined us to finish our course. What God determines success is “did you finish.” We want to hear “Well done, thy good and faithful servant.” God knows the time of our birth, He knows our course and He knows our end. It is God’s plan that we will arrive at our end and go home to be with the Lord. God expects us to finish our course.